Home Tint Sunshine Coast supplies and installs Dual Reflective Neutral Tint Films from several of our industry leading manufacturers. Home Tint Sunshine Coast supplies and installs Sputtered Ceramic Films from several of our industry leading manufacturers. Home Tint Sunshine Coast supplies and installs High Definition Ceramic Films from several of our industry leading manufacturers. Home Tint Sunshine Coast supplies and installs Nano Carbon Ceramic Films from several of our industry leading manufacturers. Home Tint Sunshine Coast supplies and installs Dual Reflective Silver Tint Films from several of our industry leading manufacturers. 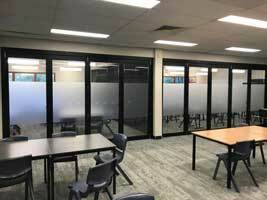 Home Tint Sunshine Coast supplies and installs Sputtered Neutral Films from several of our industry leading manufacturers. Home Tint installs only quality American manufactured window tinting film, backed by a lifetime warranty. Johnson Window Films and ASWF are Home Tint’s preferred product suppliers. We also install Hexis frosting and whiteboard stickers. All these companies have been in business for a long time and will honour warranty claims if the installed product has been cleaned and maintained as specified. Hexis is a French owned company and manufactures self adhesive products and solar and safety films on par with 3m. They have been in business 29 years and their factory is in Frontignan France. ASWF or American Standard Window Film is a division of Erickson International manufactures their window film in Las Vegas Nevada and is the most energy-efficient manufacturer in operation today. 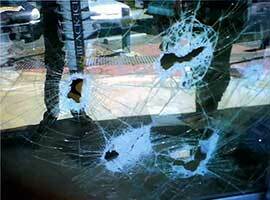 Johnsons Window Films are manufactured in Southern California and have been in business for 35 years. Johnsons pride themselves in their quality control, which is one of the most comprehensive in the industry. 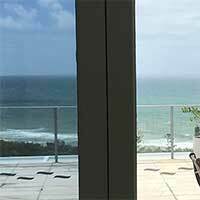 UltraGard® Window Films are an Australian owned and operated brand, engineered for Australia. The manufacturer is Express Window Films in America. The UltraGard Window Films catalogue truly consists of the most durable, reliable and consistent products available in the world today. Installed by a high quality Australia wide professional dealer network, and backed by one of the most trusted and longest established window film suppliers in the world. Australia’s harsh climate and high UV Radiation levels demand maximum protection from solar heat, sunburn and premature fading.